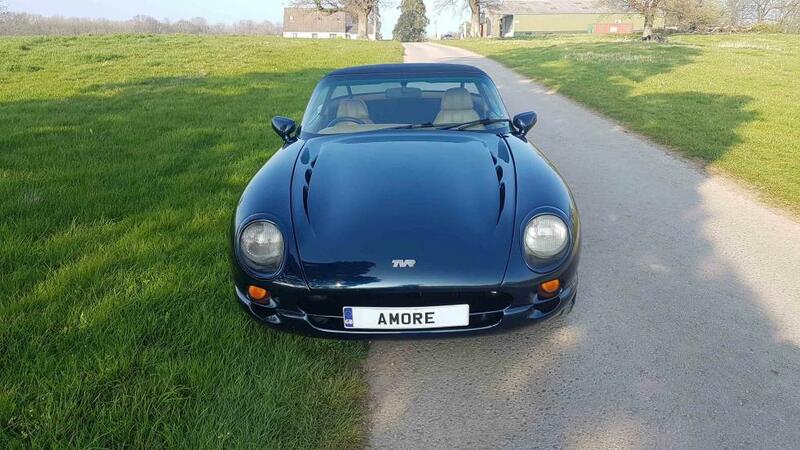 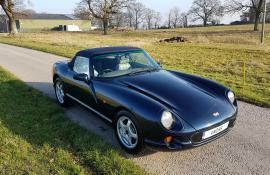 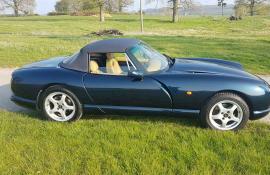 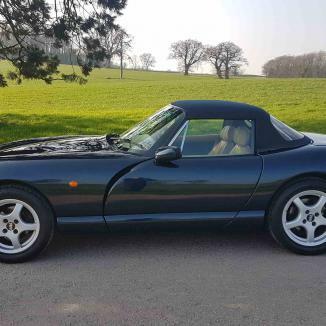 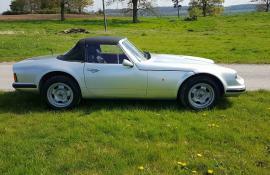 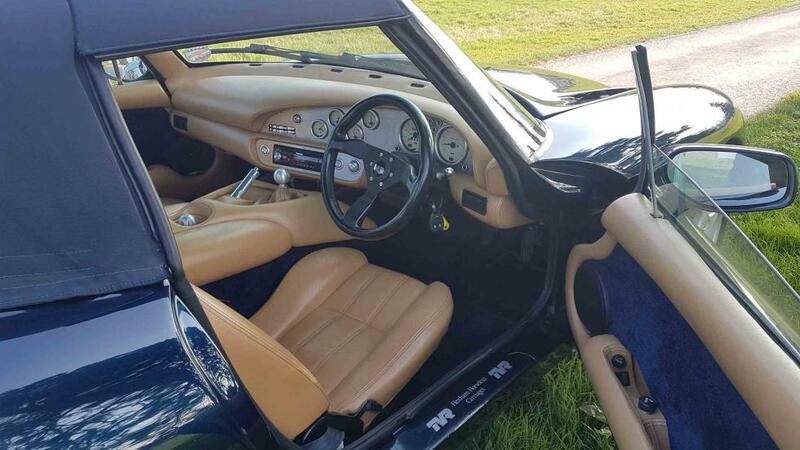 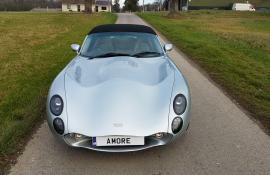 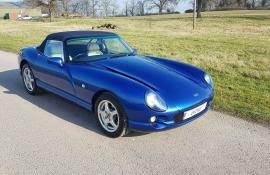 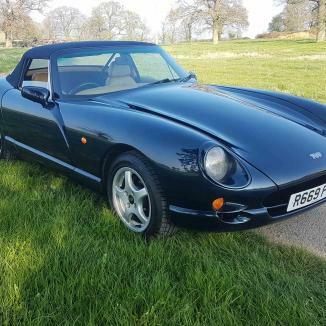 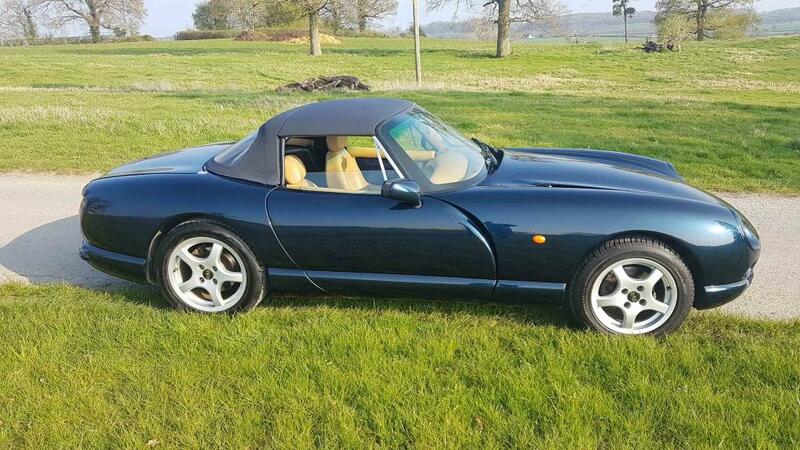 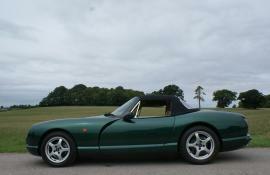 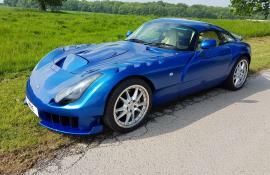 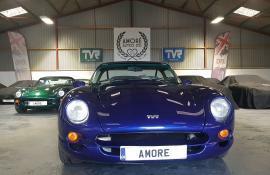 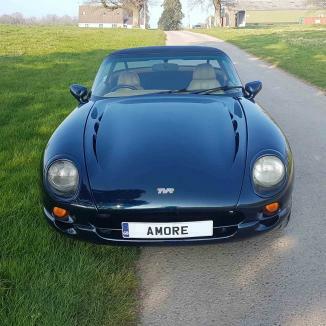 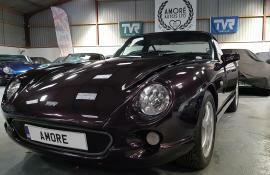 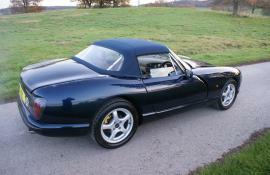 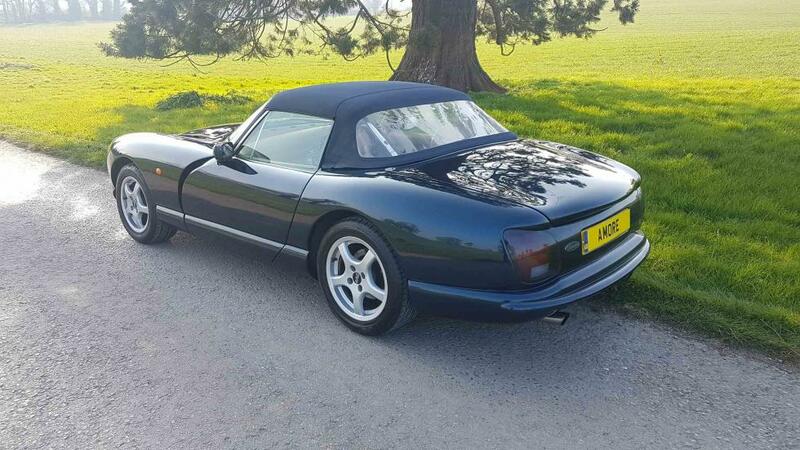 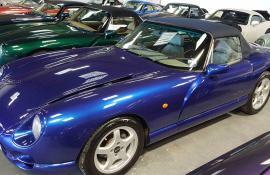 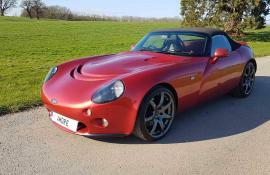 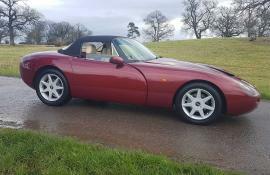 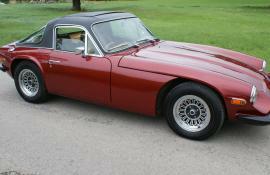 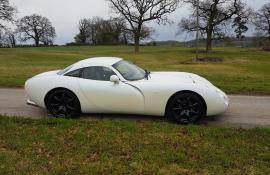 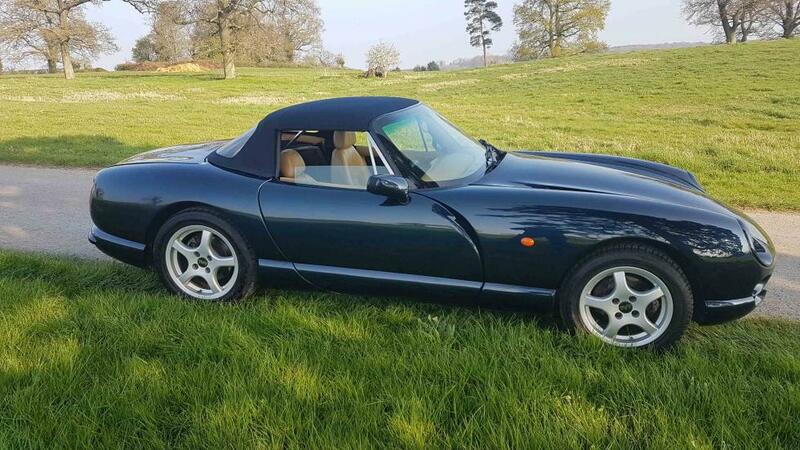 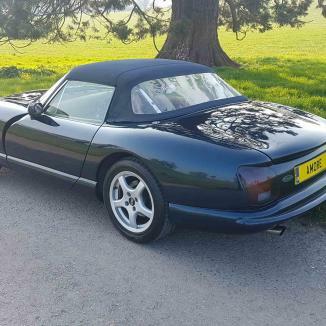 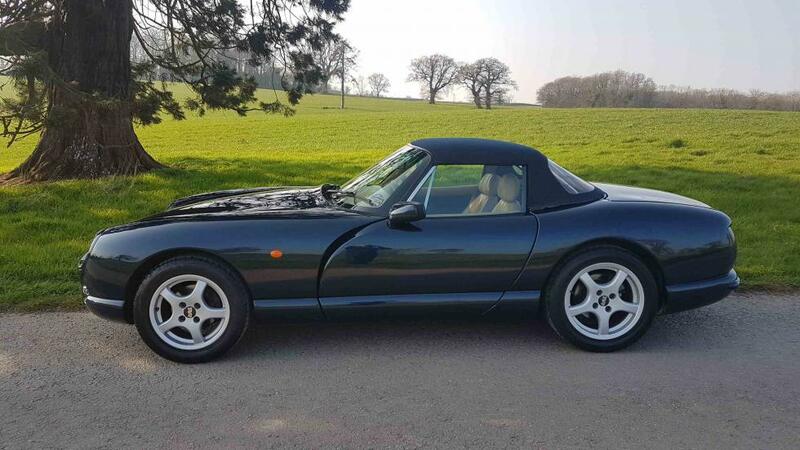 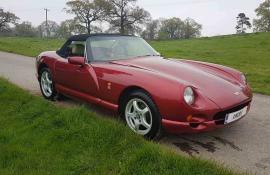 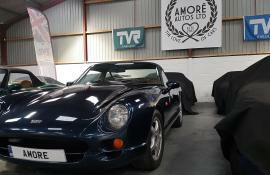 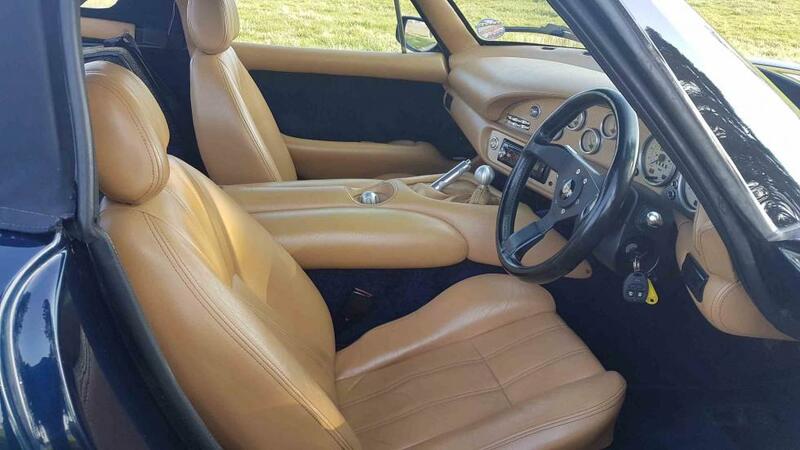 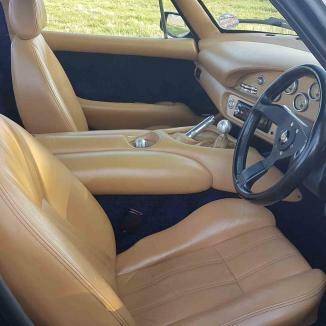 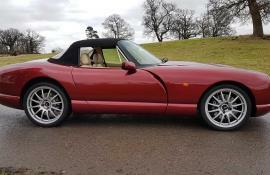 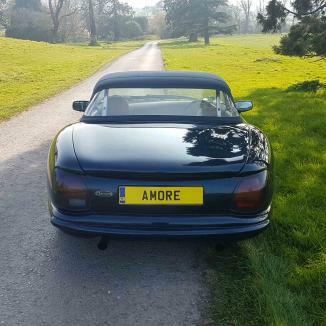 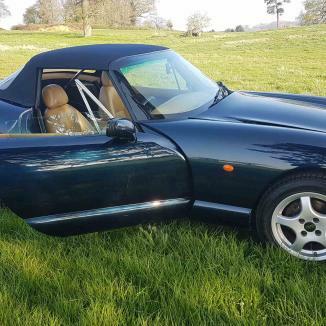 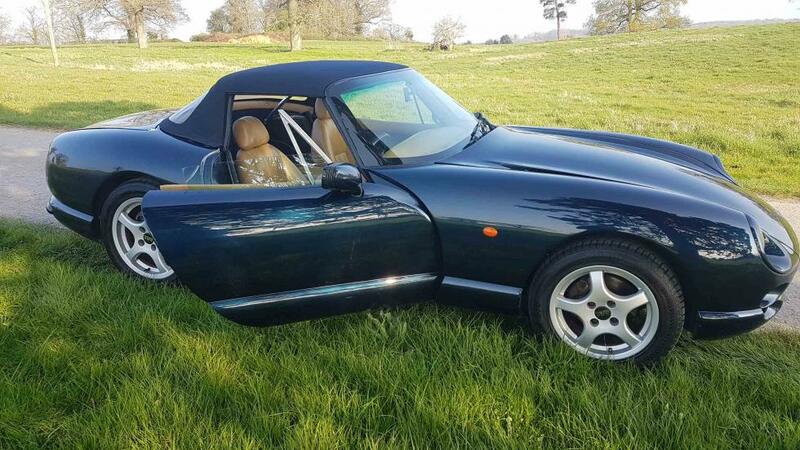 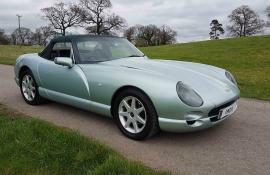 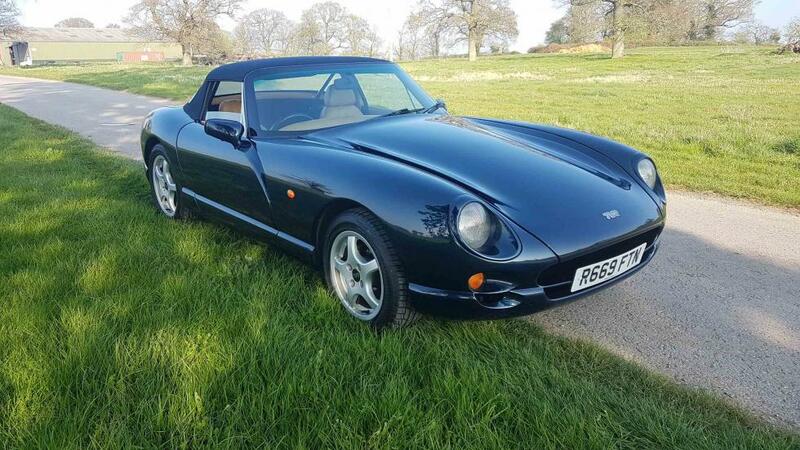 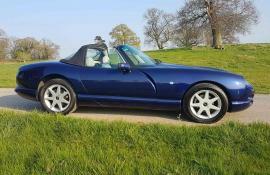 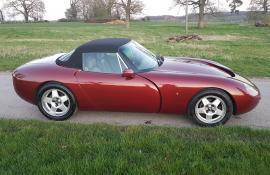 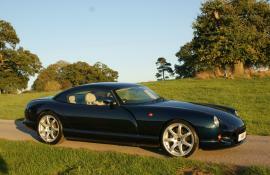 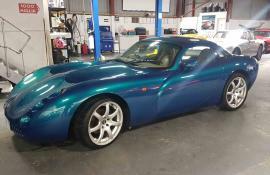 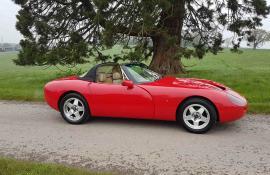 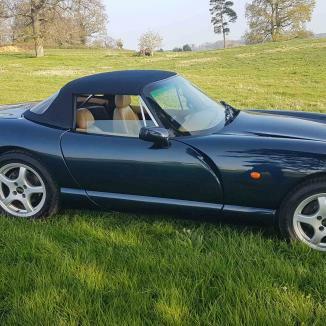 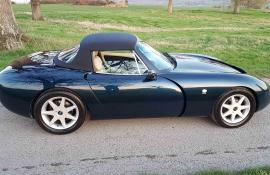 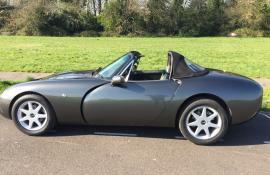 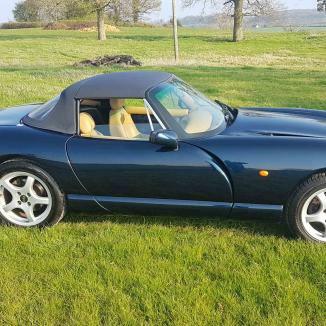 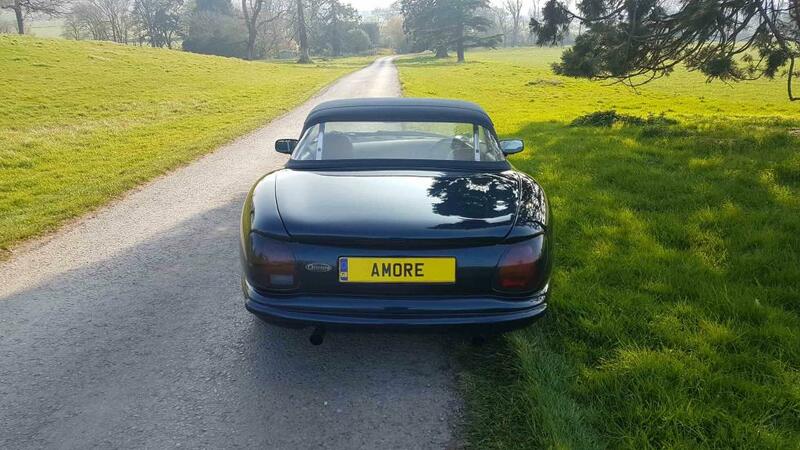 TVR 4L Chimaera – Starmist Blue with Magnolia Trim. 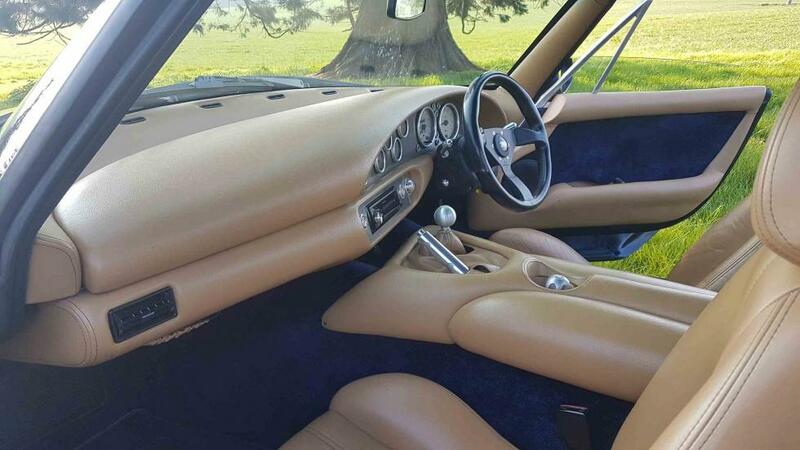 Metal dash, outriggers replaced 2010 at same time as chassis lift and restoration. 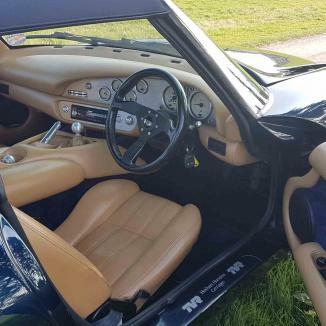 Uprated alarm with boot release. 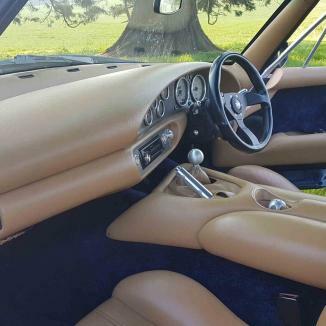 Dash professionally fitted by David Taylor. 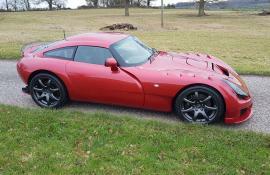 Accumate trickle charger fitted. 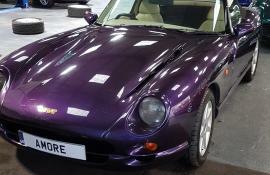 Good overall condition, some paint flake on restored chassis will benefit from touch up. 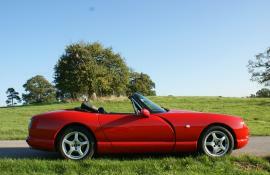 Car priced to include scrub back and waxoil.